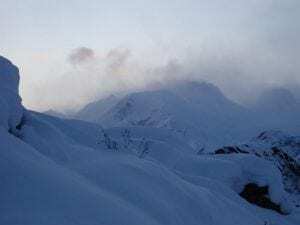 All Alaskans can be AVALANCHE AWARE. 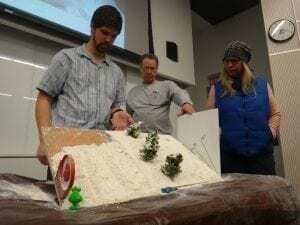 An avalanche awareness class introduces you to the risks involved with travel in snow covered mountains. Anticipating where and when avalanches occur is your first step to reducing your risk. Learn how to access online avalanche forecasts, advisories, and observations. Learn about avalanche rescue gear and how it works. 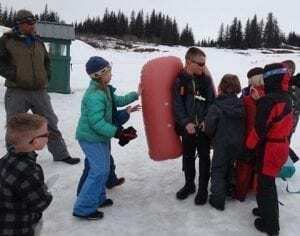 The Alaska Avalanche Information Center partners with community organizations to host avalanche awareness programs for all ages and user groups. 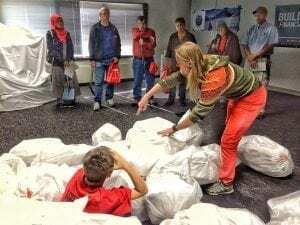 If you have a group or organization who would like to host an avalanche awareness in your community, please contact our Education Director, Sarah Carter 907.255.2242.